Take on one of our toughest challenges walking the width of the country from Newcastle to Carlisle in just 3 days! 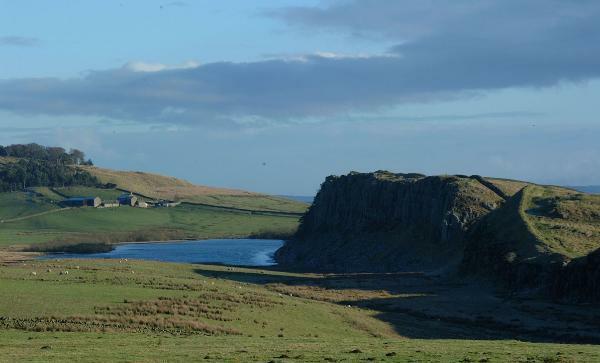 Take yourself back in history and walk the route of Hadrian's Wall. Was it built to keep the Scots out or to keep the Northern England Brigantes tribe in? 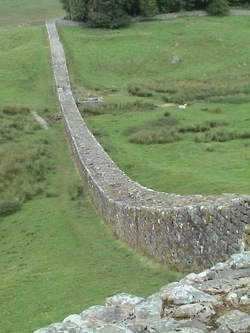 Whichever, it was an impressive feat of engineering being 8-10 feet wide and 15 feet high with a rampart walk and a 6 foot high parapet. This is a tough challenge with distances of 25 miles on Day 1, then 21 miles on Day 2 and 19 miles Day 3. Please note this can also be delivered as a two day itinerary with either 28 miles/45km along the central highlights or 56 miles/90km from Carlisle to Heddon on the Wall. Please ask for more details. 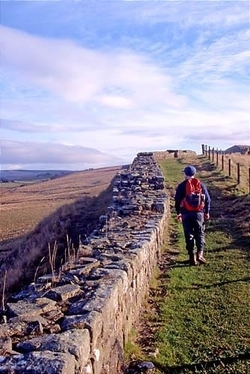 Starting at Newcastle and finishing in central Carlisle, Hadrian’s Wall was an 84 mile (104 km) boundary wall built in 122 AD under the orders of Emperor Hadrian to mark the northern edge of the Roman empire. Our route takes in a variety of terrain including river paths, farmland, rugged moorland and open salt marshes. The highest point on our trek is Whinshields Crags at 345m (1130ft) and at various points including Walltown Crags, Sewingshields and Brunton Turret, well-preserved stretches of the wall can still be seen. This event challenges you to cross from city to city in just 3 days. Day 1 - Arrive at Challenge base accommodation in Carlisle by 20:00 for dinner and evening briefing. Day 2 - Begin walk to Chollerford - approx 40km/25 miles. Day 3 - Chollerford to Gilsland - approx 33km/21 miles. Day 4 - Gilsland to Carlisle - approx 32km/19miles before heading home. 3 nights bunkhouse or B&B accommodation. Travel to and from the event. Expect everything from sunshine to a full blown blizzard or thick fog and heavy rain - anything is possible… so be prepared! If the event is run in the summer - we shall all keep our fingers crossed and hope for fine weather! We shall check your equipment. If in doubt please ask.